The main objective of the project is the integration of persons with disabilities in social life through their active participation and constant engagement. Day care center for people with disabilities “Lane” is a specific type of support to people with disabilities and their families. Working every day and successfully achieving program of prevention of social isolation of users. Nurses and teachers provide constant and selfless care for users. Throughout the planned project activities, Center Lane will employ two occupational therapists who will train people with disabilities to work on molds for making decorative candles, packaging and printing, and selling decorative candles. This will increase the number of engaged users and the proceeds of sale will enable purchase of new materials which will enhance and improve the functionality of the Day Care Centre. Part of the funds will be directed to monthly fees of occupational therapists, who will address the training needs of people with disabilities and help in making decorative candles. Throughout the project, with the help of the media, local community will be informed about project activities and the concept of partnership between civil society organizations and local communities in order to solve the problems of people with disabilities and the suppression of their isolation. At the same time efforts will be made to raise public awareness about the commitment and contributions of persons with disabilities in the local community, as well as their employment for the purpose of self-involvement in any sphere of social life. At the end of the project implementation Association will organize a promotional event which will take place in the city center, where citizens of Velika Plana will be able to buy the handmade candles and learn more about the activities of the Day Care Centre throughout brochures and other promotional material. Main goal of this final event is promoting the skills and availabilities of people with disabilities. – Promotion of the concept of partnership between civil society organizations, local government business sector in order to address locally important social issues and sustainable local development. 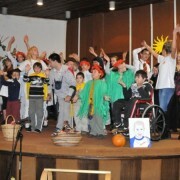 Association of persons with cerebral palsy “Will to live” was founded in Velika Plana in Serbia in 2003. The organization currently includes 150 members, of whom 39 persons with cerebral palsy and, while the others with different types of disabilities. The aimof the Association is to improve the mental condition of people with disabilities with psycho-social support. The mission of theAssociation is to improve the lives of people with disabilities, because they believe that all people with disabilities deserve a better future. NGO “Our Age” encourages senior citizens to actively participate in the improvement of their generation’s position. We promote active aging, volunteerism, generational and intergenerational cooperation. The organization was founded in 2012, and it gathers about twenty members of different ages. 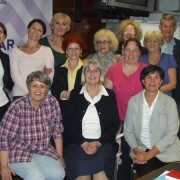 The aim of the project is to improve availability and quality of social care services for elder people in Montenegro. Implementing this project, NGO “Our Age” will try to perform an active role in developing the Local action plan of social inclusion in Podgorica for 2015. Throughout the planned activities, they will inform citizens about conditions in homes for the elderly and about other forms of institutional care for this social group. They will also strive to reduce prejudices, because, due to traditional attitudes and lack of information, the animosity toward accommodation in homes is widespread in the society. The project includes visits to public homes for the elderly in Risan and Bijelo Polje, which are examples of good practices in Montenegrin social protection system. According to the information which is to be obtained from the contact with management, staff and beneficiaries in the homes, “Our Age” will create a document with recommendations and best practice examples in order to improve life conditions of the elderly in homes. The document will be addressed to the Ministry of Labor and Social Welfare and presented at the round table entitled “Social services for the elderly,” which will mark the International Day of Older Persons, October 1st. Women’s Association Vukovar is feminist, non-governmental, non-profit, and non-partisan civil society organization registered 1998 year and acting in the area of Vukovar-Srijem County, Croatia. This organization participates in the processes of building and development of democratic society with the aim of promoting the principles of equality, non-violence, transparency and socially responsible acting and behavior of all participants of the social processes in the field of human rights protection, social development and civil society development. Main objective of project „Support to Women in Disadvantaged Social Position“ is to enhance and improve the quality of life and promote social inclusion of marginalized groups, especially: Women from flooded areas of Croatia located in Vukovar, women victims of violence, beneficiaries of Centre for Social Welfare Vukovar, elderly people and youth from the High School Nikola Tesla Vukovar. Strong network of social service providers in properly equipped and organized place will help these groups to overcome their sense of isolation and it will increase safety and involvement of beneficiaries. The network will provide mutual support to marginalized groups through involvement in activities which provide different forms of assistance and care. Planned activities include: Establishment of SOS line, individual psychological support, group psychological support, creative workshops, working with the volunteers, primary health care of the beneficiaries, safety lectures by police officers, one-day trips etc. Project implementation has already started with first creative workshop which is being held today from 4 to 6 PM, in the premises of Women’s Association Vukovar. Established in 2005, QESh’s goal and purpose is to promote a society characterized by diversity and respect for human diversity, where all people, regardless of their sexual orientation, gender identity or expression, should have equal rights, responsibilities and opportunities to live and work. 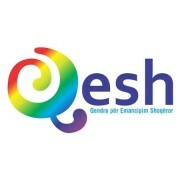 QESh was actively involved in advocating and lobbying for sexual orientation to be included in the Kosovo constitution and Anti-Discrimination Law (ADL) as grounds for discrimination on all levels. QESh has also been engaged in ensuring the ADL is amended to include gender identity and expression as grounds for discrimination as well. In the past QESh has drafted training tools on combating hate crimes, based on sexual orientation for Kosovo police, which is in the Kosovo Police Academy curriculum, while continuing documenting such cases of homophobia, discrimination, and hate crimes. QESh continues to be involved in various awareness raising campaigns and activities for the general public and support activities for the LGBTQ community in Kosovo including visibility-related activities, university lectures, trainings, conferences, and workshops, media campaigns, and the first and only LGBTQ magazine in Kosovo. Since 2002, there have been active NGO’s that advocate for the rights of the LGBT community in Kosovo; however a week full of public activities that aim to educate the general public about the LGBT community, as well as raise awareness and aim for tolerance, has never taken place. With this project, QESh aims to reach its goals by organizing a concert, art exhibitions, monoluge performances, open panel discussions, workshops with experts, health activities, as well as film and documentary screenings, including a documentary currently in production by QESh. Diversity Week will also have people from various backgrounds involved, including artists, youth, university students, health care providers, and experts from various different fields as well as activists from within the region. Inclusion of such a diverse group of people will even further foster the growth of expertise, supporters and networking within the region. QESh will also focus on bringing the LGBT community together to participate in activities but in addition give the community agency to present their skills and express themselves. Activities will take place from Wednesday to Saturday evening during September. Each day will be designated with a focus on Lesbians, Gays, Bisexuals, and Transgender individuals respectively. Due to the fact that the LGBT organizations are in Prishtina, and the LGBT community is more present, QESh has decided for the diversity week to take place in Prishtina. More so, from previous events, QESh has very good collaboration with the Police Department in Prishtina. For security reasons, we feel that for this year it is necessary for this event to partake in Prishtina especially since it is the first event.